Rosehip Oil is extracted from the seeds of rose fruits known as the hips. Rosehip oil contains pure vitamin A which is best known for replenishing and restoring mature or sun-damaged skin. Not tested on animals. No synthetic preservatives, colors or fragrances. Ingredients Organic Rosehip (Rosa Canina) Fruit Oil, D-Alpha-Tocopheryl Acetate (Vitamin E Acetate). Common Uses: Organic Rosehip Oil is becoming popular with massage therapists for it's skin healing properties, though it is typically in dilution (10% recommended). It is also suitable for cosmetics and manufacturing. Benefits Rosehip seed oil contains Vitamin A, which helps to delay the effects of skin aging, assists with cell regeneration, and promotes collagen and elastin levels to increase. This results in firmer, smoother, and more youthful skin with greater elasticity. Rosehip seed oil also contains a high amount of essential fatty acids and Vitamin E, which further promotes healthy skin. In particular, it is rich in linoleic and linolenic acids, which are important skin nutrients. Rosehip seed oil has been used successfully to treat the following skin problems. Directions for Use: Rosehip seed oil is considered a "dry" oil, meaning that it soaks into the skin easily, and does not leave a greasy residue. It is a wonderful hydrator, and penetrates dry or damaged skin immediately. This oil may be used straight from the bottle as a moisturizer, or can be incorporated into a cream, lotion, facial oil, or massage oil. Because it is so gentle, rosehip seed oil may be used undiluted on the skin, even on sensitive skin. Rosehip seed oil is a safe, inexpensive, effective, and non-invasive product for preventing and healing damaged skin. 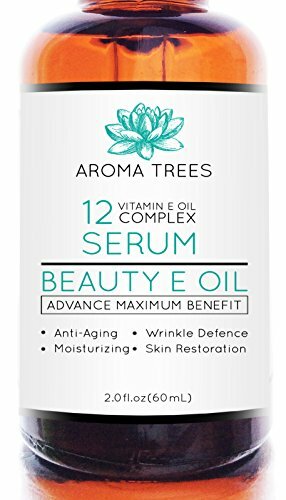 Best Beauty Vitamin E Oil 12Complex Serum is a combination of nature's powerhouse carrier oils, all with their own, unique, attributes and skin benefits, to create an absolutely fabulous treatment oil for all over use. Especially suited to anti-aging skin care, this beauty treatment combination of oils is the absolute best. This is a very powerful oil and it will only take a couple of drops for maximum benefit. If you aren't crazy about oils, on your skin, try adding a couple of drops to your palm and then add your favorite moisturizer, and mix them, to turn your moisturizer into a beauty treatment rather than just a moisturizer or apply to damp skin and watch the oil sink right into your thirsty skin. APPLICATIONS - Suitable for all skin types Target Anti-Aging Benefit Vitamin E, Argan Oil(Softening, Restructuring). Cranberry Seed Oil (Tightening, Conditioning). Carrot Seed Oil (Moisturizing, Protective). Borage Seed Oil (Firming, Regenerative). 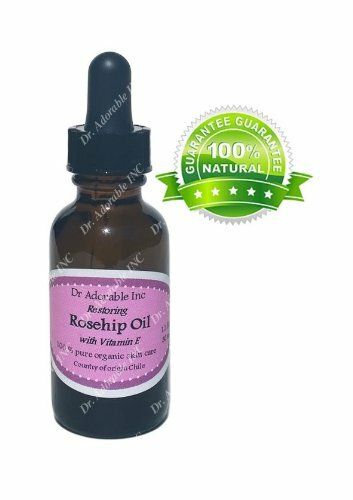 Rosehip Seed Oil (Scars, Tightening, Wrinkles). Sea Buckthorn Oil (Protective, Restructuring). Olive Squalane (Healing, Softening, Regenerative) Sesame Seed Oil (Protective, Restructuring). Meadowfoam Seed Oil (Moisturizing, Supportive) 100% Manufacturer Guarantee If you are not completely happy with your purchase, please contact us for a full refund. TAGs : vitamin e oil, facial oils, vitamin e serum, vitamin e for face, vitamin e oil for skin, natural vitamin e oil, vitamin e oil for scars, Anti aging, Skin Treatment, Moisturizing, Wrinkle Defence, Skin Restoration. Everyone knows that Vitamin E does wonders for the skin, even your doctor will recommend it! Scientific studies show that Vitamin E Oil is more effective than anything else while having many benefits: -It heals and protects your hair, skin, and nails from UV Radiation and environmental pollutants -As an antioxidant it helps prevent skin dryness, fine lines, and wrinkles -It treats your skin the way nature intended Not just another Vitamin E Oil: -All natural ingredients that your body knows exactly how to use, so it is much more effective than synthetic products -We use 100% Natural Coconut Oil Ester as a premium carrier to significantly improve the texture and application of the All Natural Vitamin E Coconut Oil Ester (MCT) has many beneficial properties of its own -Provides skin nurturing benefits as an anti-oxidant and humectant due to the Caprylic Capric fatty acids -Quickly penetrates to condition hair, skin, and nails while providing a luxurious and non-greasy barrier of protection -Significantly reduces the skins moisture loss What This Means For You -An extremely elegant and all natural product that leaves your skin feeling silky smooth -Both premium ingredients are all natural and responsibly sourced so you can feel good about using them -Gentle enough to apply to the most delicate areas of your body, and powerful enough to heal and protect your skin from harsh elements -Imagine how great it will feel to finally get the results you have been looking for! We offer a Money Back Guarantee so if you aren't satisfied for ANY reason you can get your money back with no questions asked There is a LIMITED SUPPLY at this price, so act now while it is still available! Please click the yellow ADD TO CART button at the top of this page to begin nourishing your skin today! Vitamin E is a proven commodity, a versatile antioxidant providing a multitude of advantages, scientifically proven to carry benefits. These include: Skin hydration, stretch mark and wrinkle reduction, hair strengthening, cuticle protection, and more! 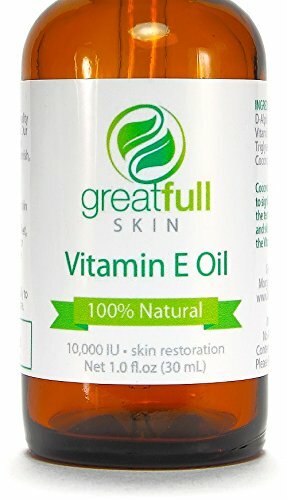 This Vitamin E Oil however has 2 key unique characteristics: 1) Natural vs Synthetic Synthetic Vitamin E Oil, commonly seen on the market, is derived from petroleum products while natural vitamin e is plant-based. - Significantly more potent - Bioavailable, as it is easily absorbed and used by the body - Excreted slower, as synthetic vitamin e is foreign to the body causing it to be rejected much quicker. 2) 100% Natural Sweet Almond Oil Carrier Vitamin E Oil in a completely pure form is very thick and viscous making application and absorption poor. To compensate we have used Natural Sweet Almond Oil only (no fillers) as the carrier improving the viscosity and application! The oil absorbs quickly preventing any need to worry about an oily look or feel to the skin! Sweet Almond Oil is also rich in Vitamin E making it a great complementary oil. It carries it's own set of benefits: - Strengthening hair (rich in Omega-6) - Reducing dark circles - Counter-acts extreme skin dryness. The bottle itself even has a child proof seal to keep things clean, and a light resistant bottle to reduce oxidation. It is designed to be used at any time of the day, and deliver premium results your skin will thank you for! We believe in the product and offer a 100% Money Back Guarantee! So try it today during our OPENING BLOWOUT SALE! Click ADD TO CART up top and take advantage of all it's benefits right away! What does Vitamin E Oil do for you? 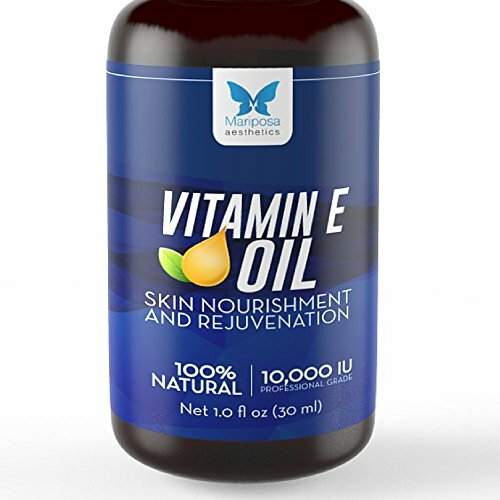 Vitamin E is described as the "lightening rod" of the cell, allowing reactive molecules to strike the cell without damaging it. This is apparent in the case of skin, where vitamin E protects the skin from ultraviolet radiation. Vitamin E-rich foods, when taken, can directly travel to the skin cell membranes and protect the skin. 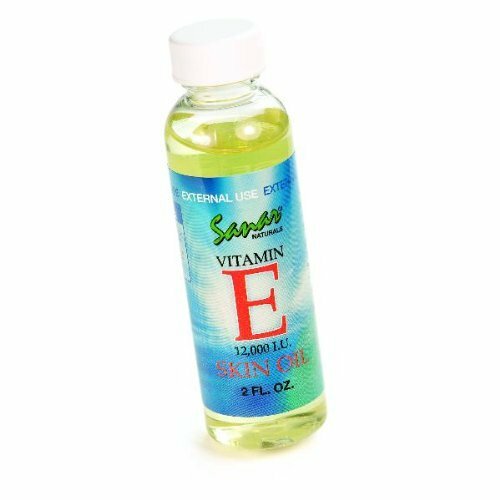 Vitamin E comes in the form of gels, capsules and oils. Oils and gels can be applied topically to help protect the skin and also for scars. Vitamin E contains alpha-tocopherol, either 100 % pure or mixed. Alpha-tocopherol in its natural form is powdery and thick. Hence, it is mixed with a carrier like olive oil. Vitamin E oil is processed from vegetable oils like corn, soya and canola through vacuum distillation. It is heavy and viscous.